A review of Texas Pacific Health Insurance Company leads to Pacific Life Insurance Company. 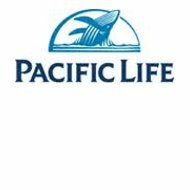 Pacific Life is located in California with branches and subsidiaries in every state except New York. They sell a broad range of insurance products for individuals and companies and financial products such as annuities and mutual funds. Utilize your zip code to receive health insurance rates for your area now. Leland Stanford, the founder of Stanford University, started the company in 1868. The company moved to Los Angeles when the 1906 San Francisco earthquake destroyed a large portion of the city. The company survived the Great Depression, and passed the one billion mark of life insurance in force in 1950. The company moved to its current location in Newport Beach, California in2008. The company offers a very broad array of insurance and financial products. In life insurance, the principal products are universal life insurance, whole life insurance and term life insurance. They also offer joint and last survivor life insurance. All life insurance products are available for individuals, families, and companies. In the retirement planning division, the company offers fixed and variable annuities, mutual funds and structured settlement annuities. There are individual retirement plans and 401(k)s for small businesses to offer to employees. Pacific Life has investment services to support the insurance divisions. They have experience in public bonds, private placements, and mortgage-backed securities. A.M. Best, an insurance rating agency, rated Pacific Life as A+, or Superior in 2011. The rating denotes that the company has the financial stability to continue to honor its responsibilities as an insurance company. A.M. Best is designated a Nationally Recognized Statistical Rating Organization (NRSRO) by the US Securities and Exchange Commission. Standard and Poor’s, another NRSRO, also gave Pacific Life a high rating. In 2010, the company was rated an A+ for the financial strength, credit rating, and financial enhancement sections. According to Standard and Poor’s assessment, Pacific Life will be very capable of meeting its financial commitments as an issuer of insurance. Weiss Ratings, an agency that rates banks and insurance providers, gives Pacific Life and its various subsidiaries rates from B to A-. A stands for Excellent, and B for Fair, so Weiss Ratings also concluded that Pacific Life and its subsidiaries execute a business model that creates solid financial foundations. The company has extensive financial ties and links. The Texas Department of Insurance, lists Pacific Life’s total assets in 2010 as just shy of $100 billion. With rising assets and $30 million in capital, the company can boast a large financial influence. Texas premiums were $410 million in 2010, down from a $540 million high in 2008. This trend was repeated with total national premiums falling to almost $6 billion in 2010 from $11 billion in 2008. However, the company is still more than capable of weathering current economic storms. Pacific Life is always looking for employees or agents who are interested in providing an important product from a company that emphasizes values, ethics, the work/life balance, and a pay-for-performance policy. There are many compensations and benefits for Pacific Life’s employees. Employees receive a base pay plus incentive and bonus plans. Employees enjoy flexible benefit plans that can include families if desired. There is also a retirement plan and various other perks and discounts. Those interested in working for Pacific Life can search for details on the Job Opportunities page of the company’s website. The company continually gives back to the community, trying to fulfill the true nature of insurance- to provide stability and a fair standard of life for all. The company partners with the United Way every year to raise several hundred thousand dollars through employee donations. There is also the Pacific Life Foundation that directs millions in grants to address social issues. The company gave $5.5 million in 2010 and a promise to give at least the same amount in 2011. There are many options for contacting the various branches or divisions of Pacific Life. Those with general queries or comments should call 1-800-800-7646. That particular line is staffed from 8 a.m. to 5 p.m., Monday through Friday, Pacific Time. Other addresses for branches, subsidiaries, and divisions are available on the website. There is also a fill-in form on the website on the Contact Us page that can be sent electronically. The company is committed to answering emails in a timely manner. Enter your zip code here to get health insurance quotes for you and your family.